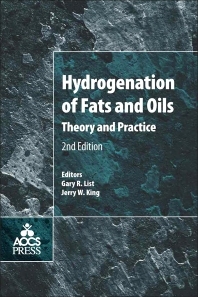 As in the first edition, discussion is not confined to vegetable oils, and the hydrogenation technique is considered in detail. The "why" as well as the "how" of hydrogenation are addressed. Written for both production staff who need advice on specific problems and development personnel who seek directions, if not solutions, the book offers direct practical advice along with explanations of why changes occur as they do. The glossary of technical terms contains a more detailed explanation of some features mentioned throughout the text. Why Supercritical and Subcritical Fluids? Gary R. List, consultant, USA is an outstanding researcher in lipids whose career spans over 50 years. His research covered many important areas in lipid science including analytical methods, processing of oilseeds, lecithin, hydrogenation, physical refining and intereseterification. Gary is author of over 370 publications, proceedings, abstracts, and book chapters/books. He has presented over 160 papers at national and international meetings, edited 8 books and made revisions to “Baileys Industrial Oil and Fat Products” (4th, 5th, and 6th revision). Jerry King’s research and teaching focus is in the area of chemical separations, particularly in the use of sub- and supercritical fluids for chemical processing. These efforts have resulted in 275 publications and 3 patents to date as well as many national/international conference presentations: including research in employing critical fluids as a medium for hydrogenation, enzymatic, hydrolysis, derivatization, and coupled reaction schemes. Dr. King has received a number of awards for his research and professional activities in the above areas and is a fellow or officer in several scientific professional societies. He is member of ACS, AIChE, AOCS, AOAC, IFT, and international societies focused on the advancement of critical fluid technology.